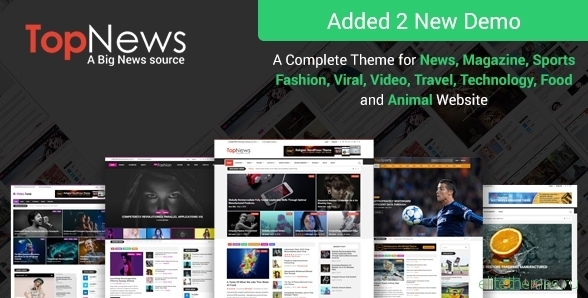 Top-News is a simple, feature-rich, user friendly, fast-loading, customizable, functional and modern WordPress news, newspaper, magazine, blog, video and publishing WordPress Theme. This theme is fully responsive, fits any size of display from lower to higher resolutions and supports all modern browsers. It also supports YouTube and Vimeo videos.